Do you have Dentemax dental insurance and need quality dental care for your family, Gold Hill Dentistry in Fort Mill, SC can help you. We are proud to serve patients of all ages with comprehensive and personalized dental care in a relaxing and caring atmosphere. 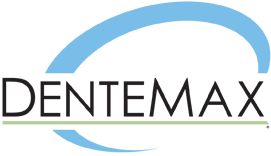 Our complete family dental care covered by Dentemax insurance includes preventive, restorative, cosmetic and implants dentistry as well as emergency dental care to patients of all ages. Dr. Kavi Sagunarthy is a talented and experienced dentist who is dedicatd to helping patients achieve a healthy, attractive and long-lasting smile with minimally invasive procedures and skilled technique. By accepint dental insurance, including Dentemax, we hope to make it easy and convenient for your family to receive the level of dental care you need and deserve. Restoring and enhancing your smile is what we do best. Our dentists that accept Dentemax are happy to file your dental insurance claims on your behalf. We will gladly work with you to help you understand and maximize your dental insurance coverage at Gold Hill Dentistry. Our Fort Mill dental team has a deep commitment to the long-term well being of your mouth and teeth with an emphasis on the connection of mouth and body. We perform cosmetic dentistry, dental implants, dental checkups, teeth whitening, dental restorations and many other dental procedures with state-of-the-art equipment and extensively trained technique. We strive to make our patients feel at ease from the moment they walk in the door. Our office is equipped to make your dental experience as comfortable and convenient as possible, including amenities such as a fresh coffee and beverage center, satellite televisions in every treatment room, WiFi access as well as easy online registration forms and iPad education applications. Gold Hill Dentistry was designed with our patients in mind. Our office welcomes both children and adults who have Delta Dental insurance and need quality dental care. If you are unsure of your dental coverage, please contact our Fort Mill Dentemax Dental Insurance Coordinator at Gold Hill Dentistry and we will be happy to answer any of your questions. Our practice also offers in-house financing plans as well as special interest-free lines of credit through CareCredit to encourage patients to get the dental care they need. We look forward to being your family’s home for dental care in Fort Mill.